Sunset Over Dione. Taken by Cassini. One of Saturn’s moons. 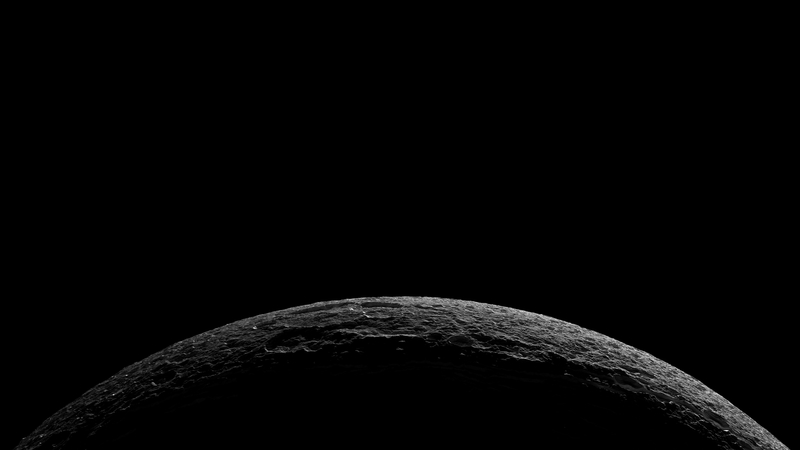 This is a gorgeous image of a sunset over Dione (pronounced die-OH-nee). Dione is one of Saturn’s moons and is the 15th largest moon in the solar system. If you combine all the smaller moons together it would still not be bigger than Dione. It has a 1:2 orbital mean resonance with Enceladus which means that for every orbit Dione completes (2.7 Earth days), Enceladus will have completed 2 by then. 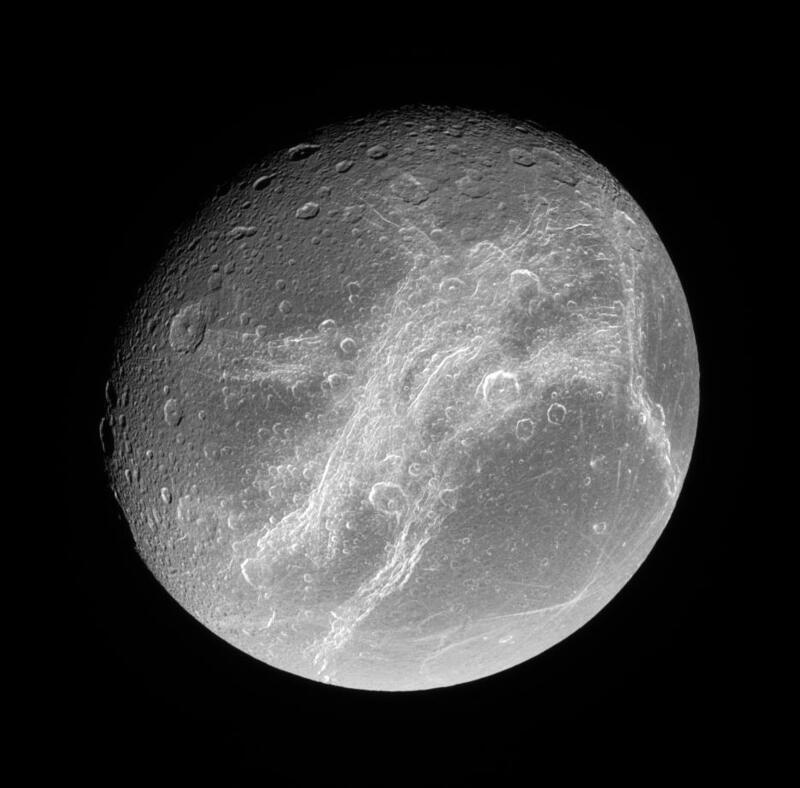 Dione is mostly made up of ice and has a diameter of 1122 km. It is also the third densest Saturnian moon and has the distance of 377,000 km from Saturn (or about the same distance from the Earth to the Moon). An interesting observation of Dione is that it’s front side is facing all the debris that it plows through but it’s backside actually has MORE impacts than its front side. Scientists have speculated that an impact could have spun the moon around 180 degrees (there is actually a 35 km crater which seems plausible for this scenario to happen). However, that scenario happening is highly unusual and this is just speculation. Another interesting fact is that Dione has a very thin layer of an oxygen atmosphere. Actually it’s so thin it’s technically called an exosphere. The temperatures are a frigid -302 degrees F or -189 degrees C. Dione is also tidally locked to Saturn so one side will always face it. 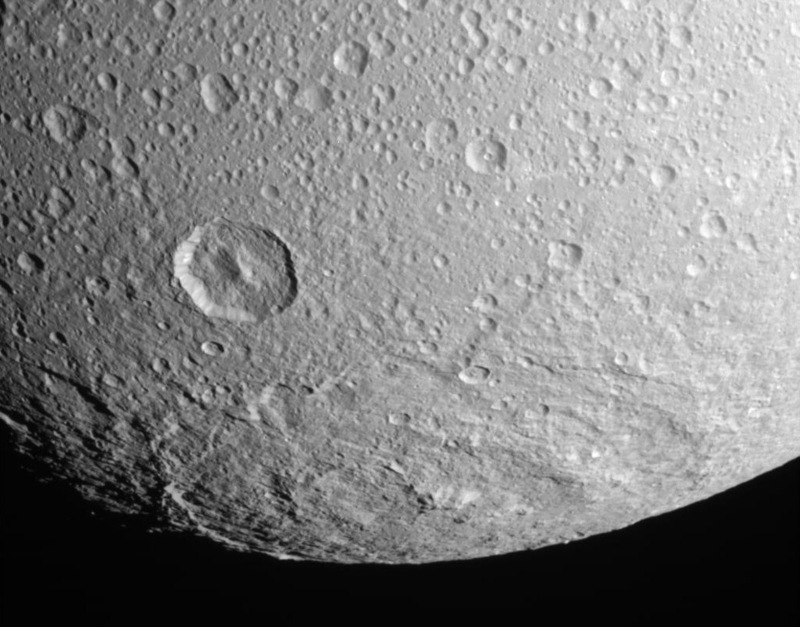 By far one of the biggest craters on Dione.